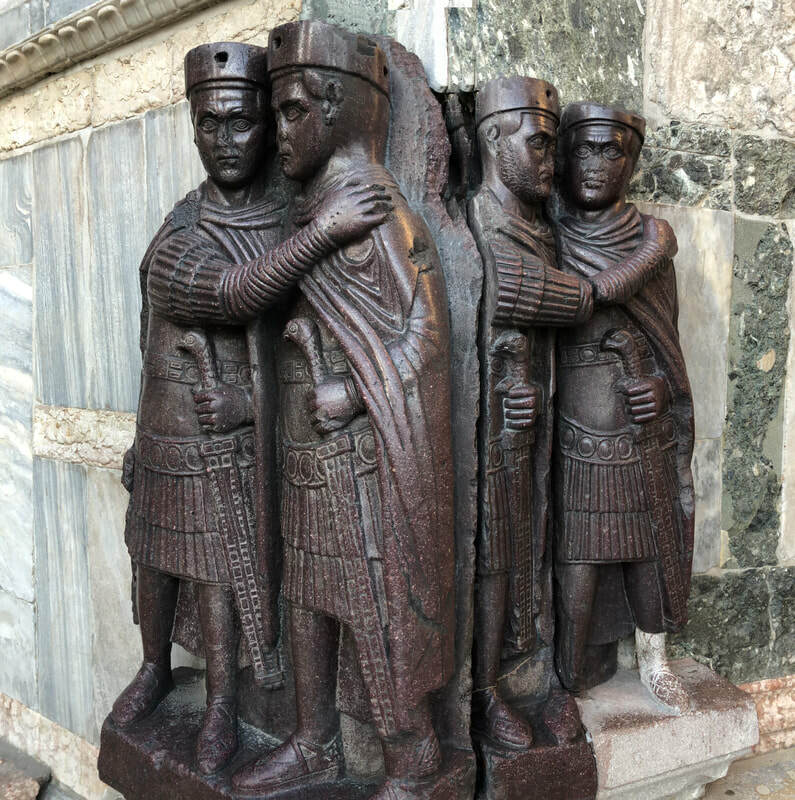 I was in Venice this week and as usual, made straight for St Marks' Square to see my old friends the Tetrarchs. 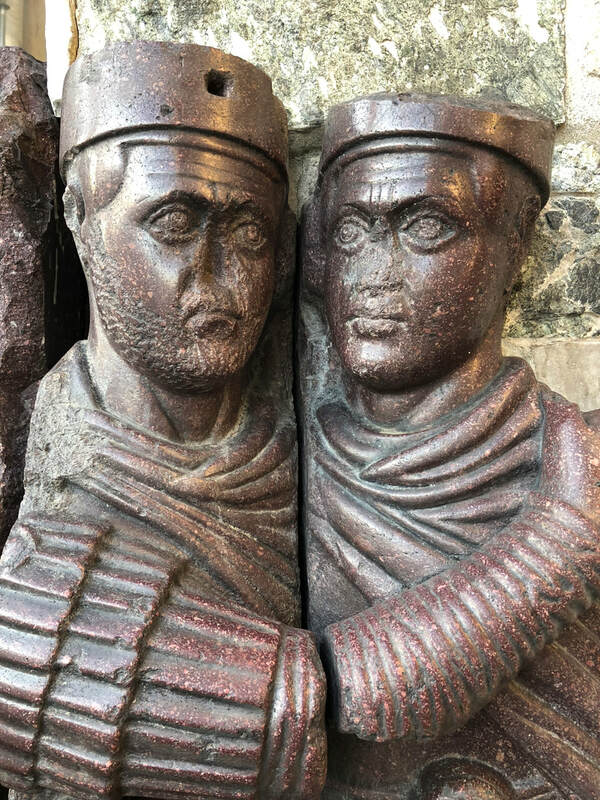 This is a famous group of four rulers of the Roman Empire, dating to around 300AD that is affixed into the side of St Mark's Cathedral - the heart of the city. I always pop by to pay my respects, because it is one of the most evocative pieces of art that I know - and speaks not only of the past of Rome, but of Constantinople and of Venice too. I guess my mind must have been wandering because I suddenly thought that the four reminded me of something but couldn't quite place it. It was only when I sat for coffee at my father's old favourite haunt (Florian's - €16 for a macchiato) that I twigged. I thought back to another period in history a long way away and the role of trade. As everyone knows, a fierce series of conflicts broke out 'a long time ago, in a galaxy far, far away'. It took a while for the role of trade to become clear in the narrative of Star Wars (the role of the privateer Han Solo alluded to it). 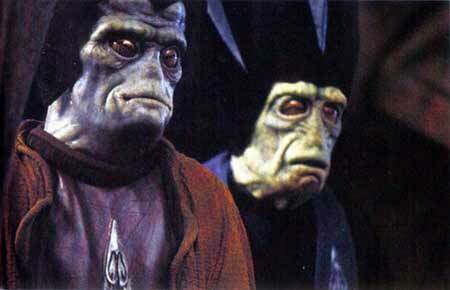 But lo and behold in The Phantom Menace (and later films), the representatives of the Trade Federation. 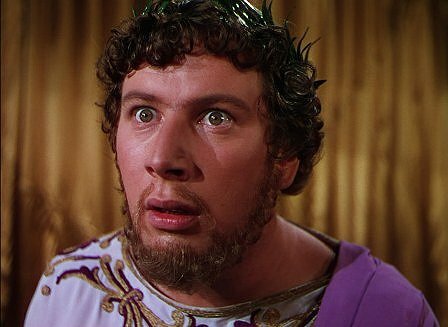 In some ways, it is not a surprise that the writers of the film would turn to Venice - whose name is synonymous with commerce - even if the four tetrarchs who seem plausible inspiration have nothing to do with the city but were brought there in 1204 as booty after the Venetians led the sack of Constantinople (who says trade and war don't go hand in hand). The fact that they have nothing to do with trade either is ironic, of course; but such is life. I'd already clocked that Palace Plaza from the Star Wars film looks to have been based on Constantinople - so it's got me wondering about what the person/people who styled these episodes of Star Wars read in their spare time (or studied in college). But rather wonderful to think that the set designers' knowledge of the past in this galaxy has helped tell the story of what happened in another. Donald Trump's Executive Order on visas and refugees is an extraordinary document. According to some reports, the order was not reviewed by the Department for Homeland Security, the Justice Department, the State Department, or the Department of Defense before it was issued. The aim of the policy, said President Trump on Friday, was to keep out terrorists. “We don’t want them here", he said. In 1492, Jews (and Muslims) were expelled from the Iberian peninsula during a time of rising intolerance and strident views of self-identity that demanded the exclusion of those who were different - had different faiths, customs and habits. The treatment was disgraceful, as the primary sources of the time attest. It was also spectacularly stupid. Many fled to Ottoman Constantinople, where they were welcomed by the city’s new Muslim rulers. Only a fool would think the ruler of Spain was wise, Bāyezīd II purportedly exclaimed, greeting the arrival of Jews in the city in 1492. Why would anyone reach this conclusion about someone who 'impoverishes his own country to enrich mine' ? 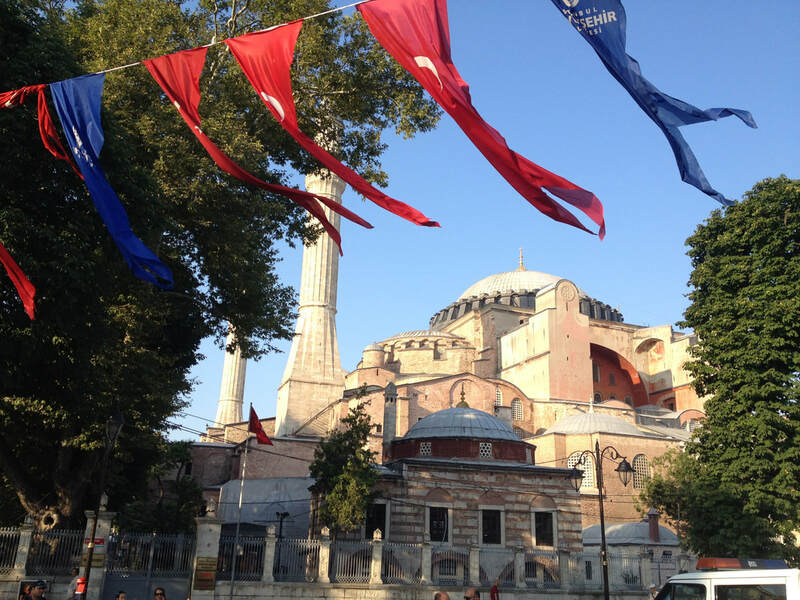 Brains, talent and skill surged to Constantinople, which flourished and blossomed in the 16th century. 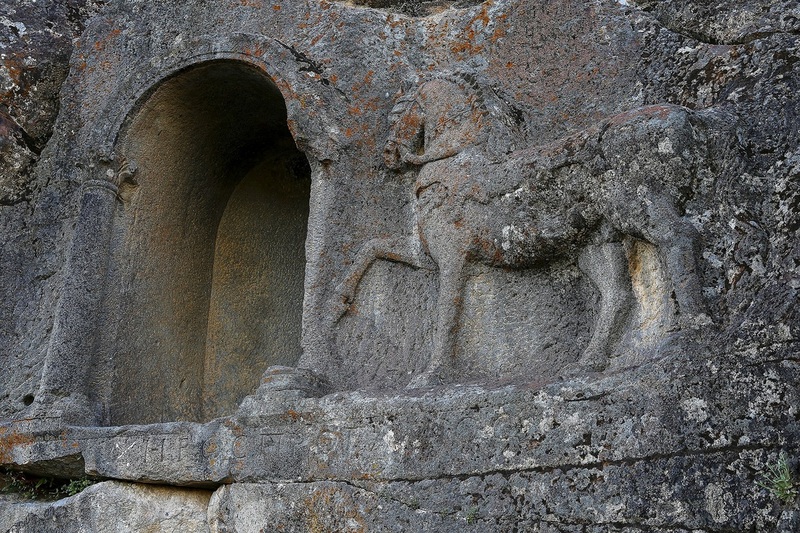 As did the Ottoman economy, its ambitions, its military, political and cultural achievements. The impact on Spain was disguised by the discovery of sea routes across the Atlantic and by the astonishing riches brought back from Central and South America that was stacked up on quaysides in Seville 'like wheat.' The wealth of what was called the 'New World' was a one-off jackpot. And like most lottery wins, it was squandered and frittered away. Spain became a serial defaulter in the 16th century, failing to meet its obligations no fewer than four times. 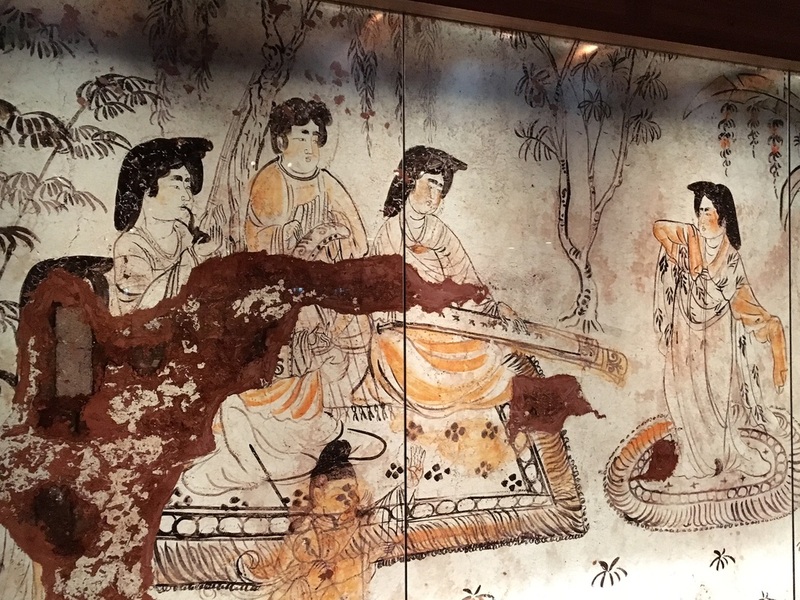 I wrote about all this in my book, The Silk Roads, where one of main themes is that decisions to put up walls, pick fights and choose exclusion over inclusion seldom have positive consequences. Amidst the protests against Trump, one leader has made the running. Those banned by the US will be welcomed by Canada, says Justin Trudeau. That would have included the father of Steve Jobs, son of a Syrian father (and found of Apple). Or Sergei Brin of Google - who showed up at San Francisco airport to show his solidarity, pointing out that he was a refugee. In a week where we were reminded that Anne Frank and her family were denied entry to the US, it might be worth learning from the lessons of history. This isn't just nasty politics. Or even stupid politics. It is shooting oneself in the foot. 134,000,000 people banned from the United States, ran the headline on CNN last night. If you have no friends, everyone is an enemy. Theresa May might be happy to talk about friendship; but few others are. These are dangerous times for the US. And they are dangerous times for all of us - regardless of nationality, faith, colour, gender, sexuality or persuasion. 'Severed pigs heads should be hung along Hungary's border to deter Muslim refugees and migrants from entering the country an MEP has suggested'. Pigs and pork are impure in Islam (Qu'rān 6:145), to the extent that all contact is deemed to be both contaminating and abominating. So it is not surprising that the suggestion would be considered highly offensive. Yet Gyorgy Schopflin, the MEP who came up with the idea is not the first to have thought of using pigs to deter and upset Muslims. After repeated uprisings in the Spanish Philippines in the late 1800s, new tactics were needed to deal with Islamic fundamentalists - Juramentados - who swore oaths to die as martyrs while killing Christians. Those who achieved their aims were buried alongside dead pig in order to pollute their corpses. It was a grisly practice that was adopted by some officers in the US Army at the start of the 20th century when the United States became embroiled in a war in the Philippines - and faced the same problem of how to stop and discourage those prepared to murder in the name of their faith. And in fact, despite the furore about today's comments about pig's heads on Hungary's border, others have revelled in similar taunting only recently. According to Business Insider, patches bearing the image of a Crusader eating pork were hugely popular with US troops serving in Afghanistan just recently - with the text being written in Arabic for the benefit of any modern day juramentados (these days called 'jihadists) who got close enough to read. It is worth studying history. It may not repeat itself, as Mark Twain purportedly said, but it sure does rhyme. We live in difficult times. We are seeing our species at its absolute worst. Humans are capable of acts of breathtaking violence; of allowing the flames of intolerance and mistrusts to catch and spread; of enabling inequality and persecution to deepen and bring suffering. When we are at our best is when we co-operate and share, when we innovate and create, when we show compassion and when we demonstrate respect for each other. Nowhere is this shown better than during the Olympic and Paralympic Games. Yes, these are only Games. But they hold valuable truths for us all and teach important lessons about treating rivals with respect. I have been overjoyed by the Rio Olympics. I know Brazil well and don't need any tips on the country's faults and failings (or its prodigies either). I know something about the IOC too, and don't need any pointers on the way it operates - perhaps best described as murky. But I am shocked and devastated by the fact that the Paralympics are going to be curtailed by the human weakness and meanness, rather than a further celebration of generosity and kindness. There is, apparently, not enough money to go round. Over-spending on the Olympics, poor ticket sales for the Paralympic events (where with only 12% of the tickets have been bought) and financial incompetence - including heavy bribery - mean some countries will not be able to send teams to compete, while many events are being scaled down, depriving athletes who have spent four years training, from competing. Many have turned their fire on the IOC, on the authorities in Rio and Brazil, not without good reason. It is important in due course that corrupt officials are identified and punished; that the games are properly audited; that the money trails are looked into. But something needs to be done quicker than that to keep the show on the road. That's why I've started an online petition asking companies that are innovative, creative and pioneering to step up now. It would be a wonderful thing for companies that have shaped the early 21st century, like Facebook, Apple, Google and Uber and others besides to take the lead and dip into their treasure chests and save the games. As a good friend in Rio tells me, the organisers of the Paralympics do not even know how big a gap needs to be filled. But we need to start somewhere. Knowing that a solution is possible can make change happen in the next few days and keep the show on the road. If you have 30 seconds spare, please sign, tweet and share my petition. Modern politics is all about online activism. Let's see if we can get enough people to sign a petition to get those who might be able and willing to help to do so. You can do so by clicking here: it's free. Just like a vote. I've spent the last two days at a conference here in Oxford focused on the work of Ibn Fadlān, an envoy sent by the Caliph of Baghdad in the early 10th century on a mission to Volga Bulgharia - deep in the heart of Russia, at the intersection of the mighty Volga and Kama rivers. Ibn Fadlān's text is a marvel. 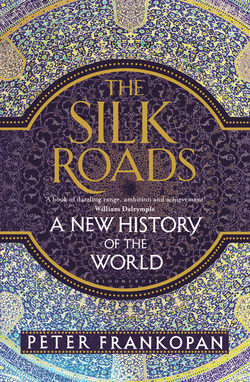 I remember first reading when I was a callow student it twenty five years ago - and laughing out loud at the descriptions of the people he met along the way (the text gets a good airing in my Silk Roads book, by the way). Academic conferences can be hit or miss; but this was a real hit: we had Russian archaeologists updating us on the latest discoveries by the Aral Sea, as well as along the river systems linking the Baltic with the Caspian and Black Seas; Arabic scholars talking about tone and register of the language used in the text; Scandinavian professors talking about the best ways to understand the Norse literary material - and coin specialists talking numismatics. The best people in the world in their fields talking about how the Islamic world, Scandinavia, early Russia and the North Sea shaped each other. Beat that ! 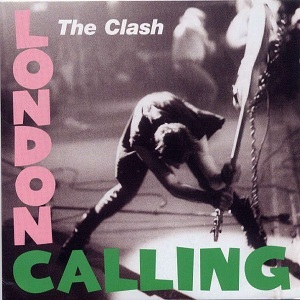 it put me in such a good mood that I've been listening to The Clash this afternoon. I started, of course, with Rock the Casbah, in which the band bemoan an intolerant ruler ('a sheikh', in fact) somewhere in the Islamic world, who has banned rock music - a bit like Footloose, in other words. The ruler's advisor ('the sharif') 'don't like it', the band notes, promising therefore to 'Rock the Casbah' in defiance. Quite an aggressive intervention - one that leads to the escalation of violence, as military jets are brought in to bomb everything in sight. Ineffective western intervention that backfires rings a bell - so I thought the lads need to study a little more history. It seems strangely contemporary - as did the next track on my playlist, London's Calling, which warns about climate change. The lads were onto something again. 'The ice age is coming, the sun's zooming in', they warn; 'meltdown expected, the wheat is growing thin'. Trouble lies ahead for all, they warned. there's no hope - even in London, which is drowning. The solution: do nothing. 'Forget it brother, you can go it alone', they said. Charming. By this point, I was ready to listen to listen to the lyrics carefully, judging The Clash to have powers to foresee the future - but pick the wrong answer. Sure enough, Should I Stay or Should I Go came on. I'd been warned about this already by Tim Farron's speech at the LibDem conference in York at the weekend. Sure enough, The Clash give their verdict on #Brexit and the Referendum on leaving the European Union. 'Should I stay or should I go now? ', the lads ask repeatedly - echoing the turmoil across Britain at the moment. Right question. But sorry boys; wrong answer again. The EU ain't perfect; but if we leave, it's the trouble that will be double. Revolution is in the air this morning. At least in the Twittersphere. There are many divisions in the world. One of the most important, of course, is that of those who are on Twitter and those who are not. I can't understand the latter - seems almost heretical not to regularly check to see what is going on in the world. All of those who read this post will know what I am talking about. And all will know the horror of the news that Twitter is proposing to replace its timeline sequencing of tweets with an algorithm that predicts what users want to read and hear. The Twittersphere is up in arms - for three reasons. First, if stuff ain't broke, don't try fix it. Second, the interference with how each of us look for and gather information has upset many who have been talking (tweeting, in fact) about freedoms being curtailed. And third, the realisation that Twitter is proposing this change not because users want it - but because shareholders do: the motivation is to correct a falling share price and drive revenue - because Twitter does not make enough money. So Tweeters are being ushered into the stalls to be milked. As a historian, I have a natural love of chronological sequences (even though when it comes to writing history, it is sometimes more rewarding to present in terms of themes, rather than order). So I should naturally be barricading the ramparts and chaining myself to Twitter's metaphorical fence in protest. But then, as a historian, I have also long been resigned to the fact that predictive algorithms are effectively a fact of life. Go into any bookshop, and you will see what I mean. Row after row, shelf after shelf of things that we are expected to want to read: books about the First and Second World Wars; about Europe; about the rise of the West. Almost nothing is about the rest of the world. 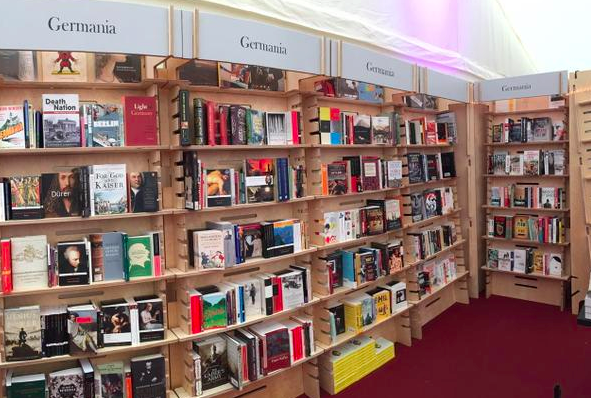 Here is a shot of the Cheltenham Literature Festival this autumn and the shelves of Germania - books about Germany. Content is 'curated' just as Twitter is proposing; and it is all driven by the bottom line: stuff needs to sell or it won't get stocked. Thank heavens then for independent book stores - and even some of the big chains. Time and again when I pass by Daunt Books, John Sandoe, Blackwell's, Heffers and many branches of Waterstones (and many other book shops besides), I ask the staff for recommendations. Time and again, the staff are lovely, and really know their onions (and their books). So if Twitter does change everything (it will be a shame if it does), we'll be turning towards a familiar world. Less diversity, less choice and less fun. What a shame that Twitter, that heralded in a new age for so many of us, that was an almost perfect medium to be more curious about the world beyond, and to find and share new information, looks like it is going to shoot itself in the foot. Hence my favourite tweet of the morning. I'll be keeping my fingers crossed ! So Thanksgiving is here again. Time to settle down to turkey and all the trimmings, washed down with beer and cheer (or with gallons of Cola) before settling down to the early evening NFL kick off as The Eagles take on the Lions. Thanksgiving is big business in the United States - and not just for the 100m turkeys that are dispatched to meet their maker. This is a good time of year for airlines, supermarkets and cinemas as families converge and take some precious time off - important when you remember that workers in the US have the least amount of paid holiday of any rich country in the world. It is of course a good thing to be grateful for having food on the table - and for one's lot in life. That has become the the key message of the festive season in modern times: Thanksgiving is a quintessentially American way of celebrating how wonderful it is to be American when much of the world beyond seems violent, disordered and chaotic. A new Paradise on Earth. Apparently. But there is an important difference about what the earliest celebrations of Thanksgiving were about, that should make us see this festival in slightly different light. 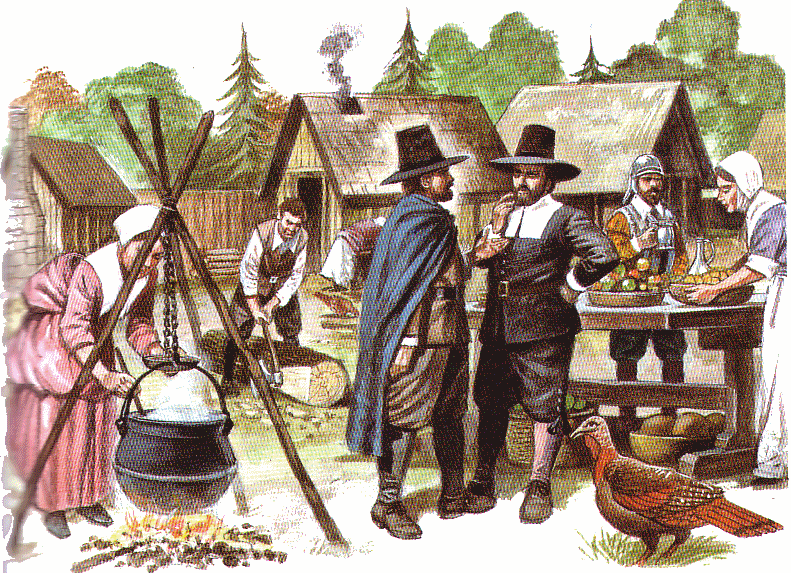 For Thanksgiving was a feast conceived by radicals who were protesting about the way the world was changing. The Pilgrim Fathers left Europe, appalled by the decline in moral standards, disgusted by the obscene wealth that left beggars on streets but enabled the rich to live in vast mansions, and by the way society seemed to be falling apart in front of their eyes. The decision to cross the Atlantic was driven by a desire to find a new Paradise on earth, following the ruination of Europe. Those who conceived the feast of Thanksgiving were reacting aggressively against a rapid period of intensive globalisation in the late 16th and 17th Centuries, where goods from India, China, the Persian Gulf and beyond were brought to Europe along networks of Silk Roads. This annoyed those who felt that exposure to new ideas, new tastes and new styles compromised traditions, and drove men (and women) further from God. We might ponder on that this year, as we observe a world around us that seems increasingly bewildering, dislocated and unfamiliar. 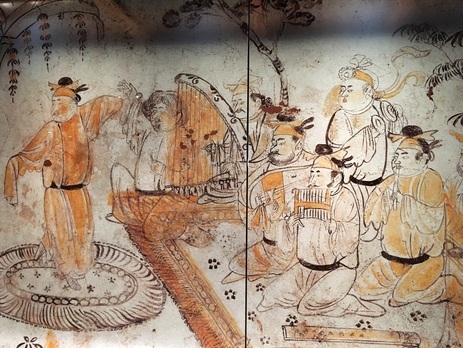 With crises in Syria and Northern Iraq, Russia and the Ukraine, a build-up of pressure in the South China Sea (and plenty more worries besides), many feel the same instincts of the earliest celebrants of Thanksgiving: that rather than engage with a changing world, understand it and see adapting as progress, it is better bury one's head in the sand. It's not just the turkeys I feel sorry for this Thanksgiving: it's those who think that building fences across frontiers, that military escalation can bring political settlements and that others across the globe should sort out their own problems. And yet, curiously, the idea of cutting oneself off from the outside world is exactly what drove the Pilgrim Fathers to find pastures new (evicting the local population in the process) to fulfill their dreams. Centuries later, it is back to the drawing board. Enjoy the turkey - but as well as thinking about the less fortunate this year, also consider whether being more tolerant, more forgiving and more understanding of others might just be a better way of doing things that those pesky Pilgrims. 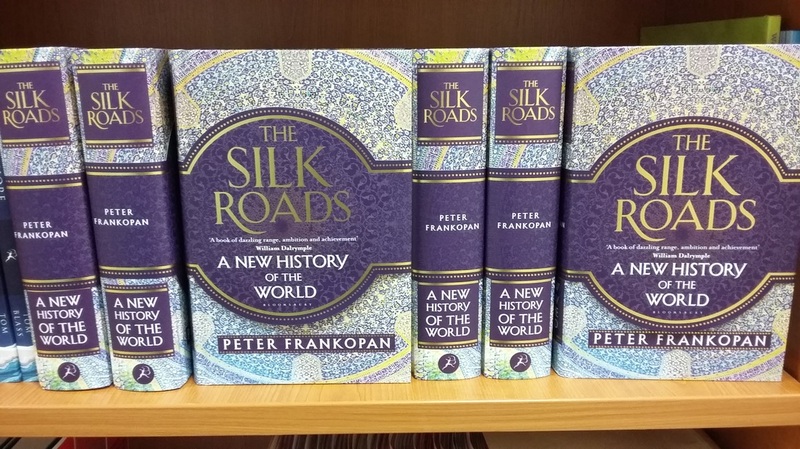 I thought it might be fun - given it's a sunny Friday in with leaves strating to fall from the trees, so organise a Silk Roads related competition. I've been tweeted some lovely photos of my Silk Roads book on coffee tables, by swimming pools, in the evening sun, on airplanes, on the tube/subway. 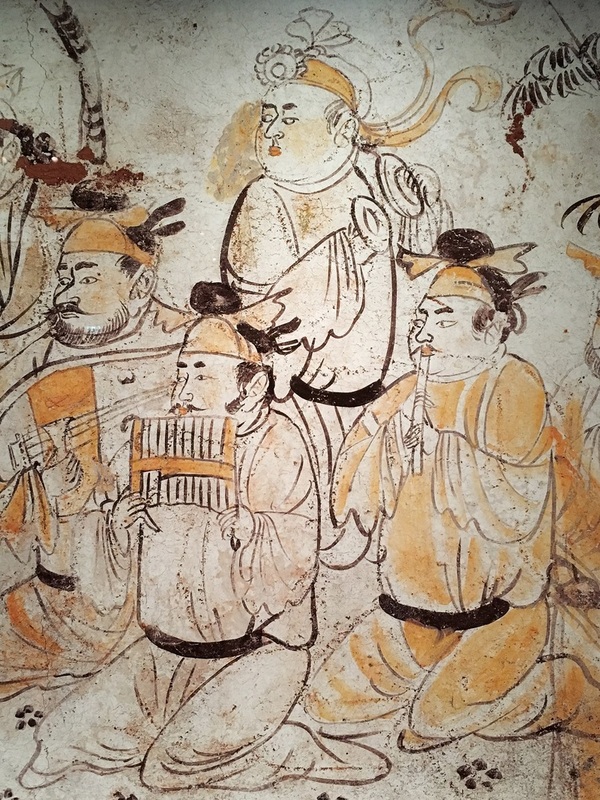 So I've decided that I'm going to give a prize for the best photo that tweeted in the next week of my Silk Roads book. Extra points come for the setting, the surroundings, and the wording you choose to accompany the entry. The prize is fabulous ! It's an audible download of the book, read by Laurence Kennedy, which is worth an amazing £47.15). 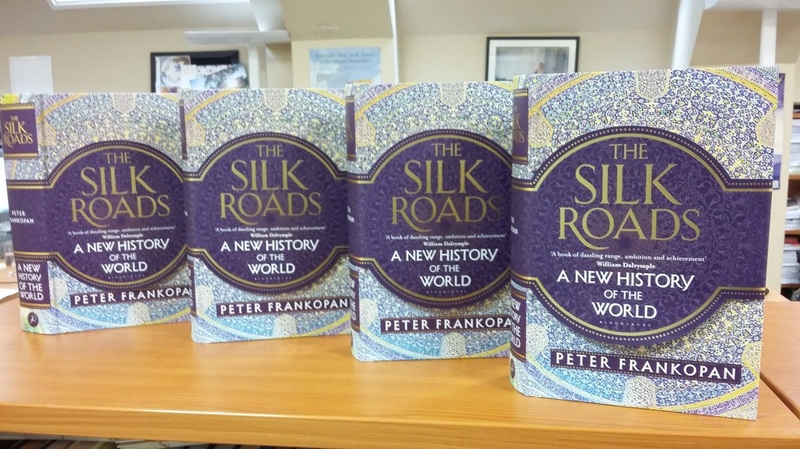 To enter, please use the hashtag #SilkRoadsPrize, and include my twitter handle too (@peterfrankopan) so I receive it. Entries need to be in by the end of next weekend (18 Oct), and I'll tweet the winner that evening at 9pm UK time. I'll DM the winner the key code that will unlock the download. It's a key that relates to audibile.co.uk - so it might not work for those outside the UK. I'm afraid no cash or other alternative prizes for those outside the UK. But enter for the love of the competition, rather than for the glittering prize that awaits. (You can re-gift the code to your loved ones - what a lovely present to receive).